ABB has invested significantly in its manufacturing facility in Coleshill, UK, over the last 18 months. As part of its investment strategy, ABB has focused on production, including new CNC machinery, and further corrugation and moulding technology for its cable protection product ranges. The company has also invested in improvements in work flow and most importantly safety advancements across the entire facility. 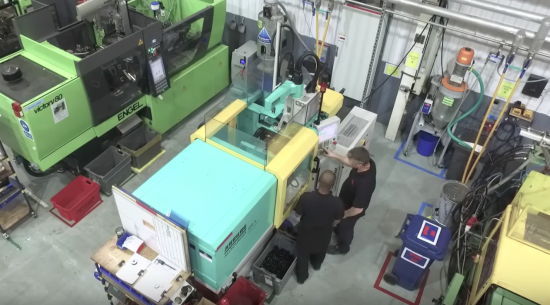 Wider infrastructure investment has also been made to the building itself, including improved IT and phone systems, injection moulding tooling storage racking, and assembly area improvements. Looking ahead, ABB will continue to invest in the Coleshill facility to further improve safety as part of an organisation-wide initiative. The additional investment will also be used to improve product quality, which will support the ABB Coleshill facility as it looks to further consolidate its position as a leader in the manufacture and supply of conduit and cable protection systems for industrial and commercial applications. Gary Fitzpatrick, Manufacturing Unit Manager at ABB in Coleshill commented: “As the market changes and the demand for more robust and reliable cable protection products increases, we want to retain our position as market leader, providing customers with products that are manufactured to the highest quality standards. Our continuous investment in the development of our site, quality procedures and safety measures help us to deliver against these demands.